Half of the parking lot at the Fields belonging to Heid's Lanes has been sealed and re-marked. With this upgrade, Heid's is looking for the middle driveway to be an IN only driveway. The north end driveway by the concession stand should be used for both IN and OUT for SJ events, and the south end driveway on the other side of the bowling alley is to be used as an OUT only path. Please use the driveways in this manner. 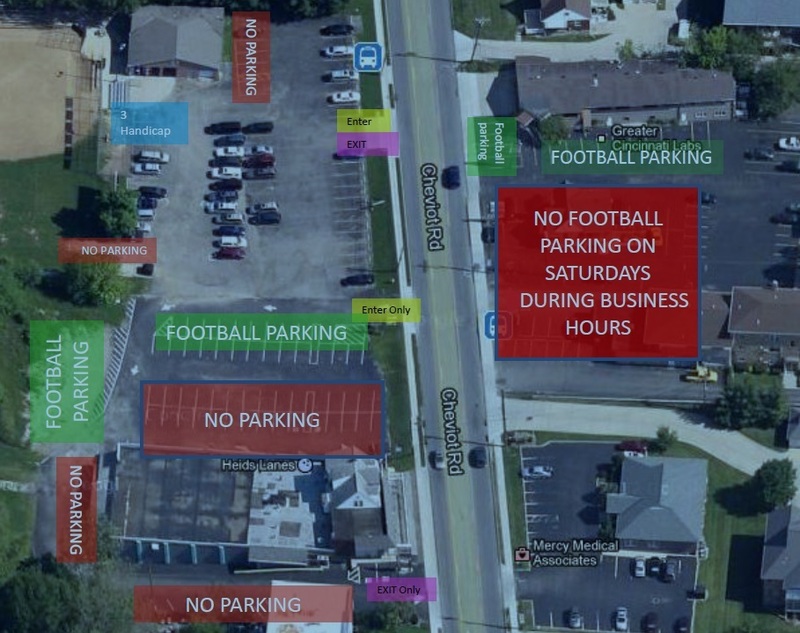 See the image below for Football Parking. Limits in the Heid's parking lot will be similar for all sports seasons. Additional parking at the school is also available. For additional instructions see the map below and click HERE for more directions/maps.